(2) Heart failure. No post mortem. Unfortunately it is not yet known how or why he suffered this terrible fate. I am still working on finding this out. It does seem extraordinary they allowed him to suffer seventeen days of mania without sedating him. His widow, Lucy Annie Applebee, lived until 1972. She never remarried and on her death certificate her occupation was given as 'widow of William Applebee, photographer'. She continued the postcard business until the late 1920s, assisted by William's step-brother, Charles Mitchell. Mitchell remained in the postcard business right up until his death in the mid 1960s. 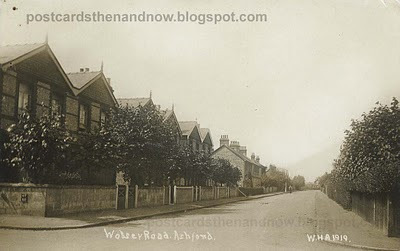 This rather unremarkable postcard shows the road that Applebee lived in with his wife. They lived in a house called 'Woodbine'. Curiously, on his death certificate he is listed as living at the house next door, 'Wolverdene'. Another little mystery to be solved. 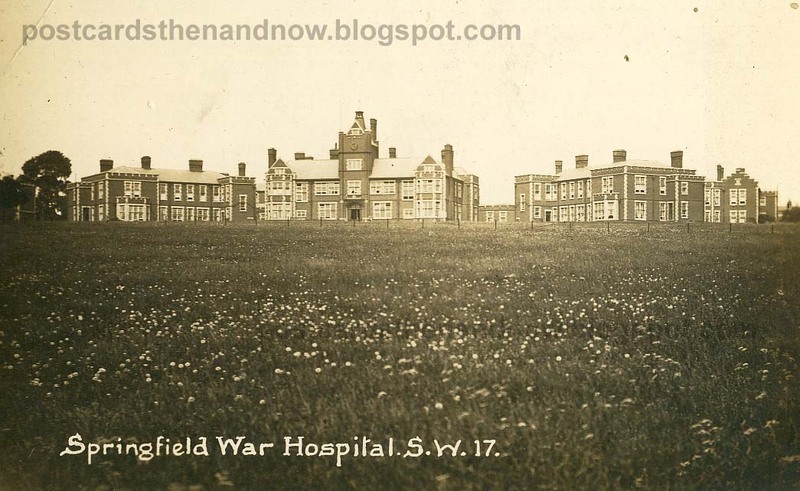 Below: Middlesex County Asylum, Tooting, taken a few years after Applebee's death when it had been temporarily converted to a war hospital. Springfield University Hospital is still in use as a psychiactric hospital. The street is not much changed. I think poor Mr. Applebee would still be able to find his way home. I hate to think that he may have dies needlessly with a condition that could have been easily treated. Thankfully, he lives on through his photos.